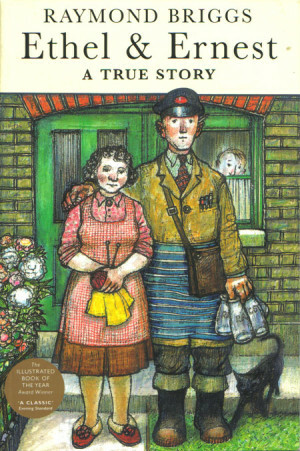 For a brief while in the 1980s Raymond Briggs was the chin-stroking comic fan’s graphic novelist of choice. 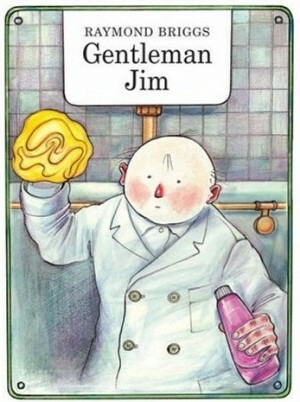 He’d moved from delightfully drawn children’s stories into works that incorporated real world fears and his anger at the politics that prompted them. Having vented his spleen, he returned to children’s material, and apart from a brief revival of interest in Ethel and Ernest, the comic world left Briggs to his own devices. They should take another look. 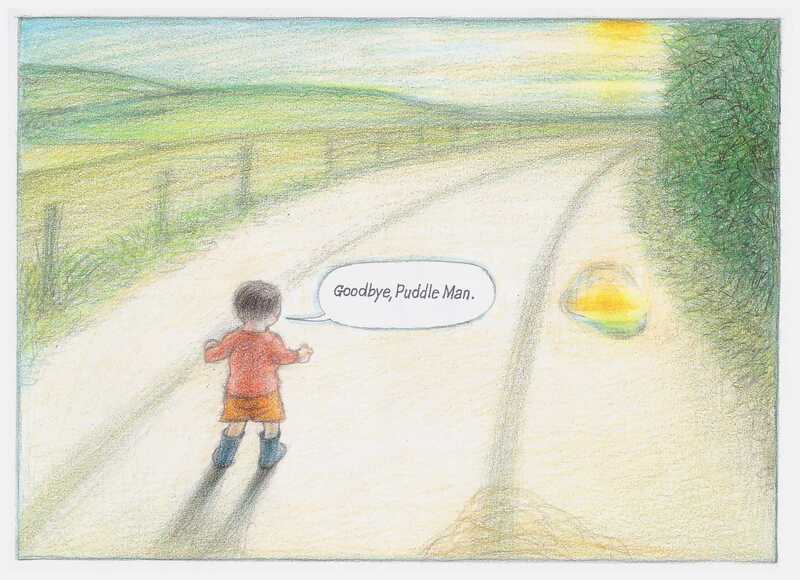 The Puddleman is a very simple story, meandering along much in the manner of the country walk it portrays. Tom’s grandfather believes Tom is distracted enough for him to enjoy a moment’s peace with the paper and a cup of tea. He reckons without childhood energy, though, and is soon trussed with the dog lead and dragged outside to inspect the puddles. Except they’re not there as it’s not rained for a while. Refusing to believe his grandfather’s explanation that the puddles have evaporated, Tom goes dashing off down the lane to have his own expectation’s confirmed. He bumps into the Puddleman, complete with a selection of puddles on his back, come to replace them. 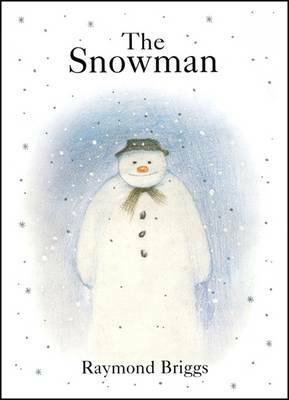 It’s the sort of charming idea that instantly engages children, while the adults reading the book to them can be equally charmed by Briggs’ pastel art. His use of brown, green, orange and yellow lines for fields and squiggles for hedgerows is wonderfully impressionistic, and years of this type of book render him able to capture the wide-eyed innocence of childhood in an effortless manner. 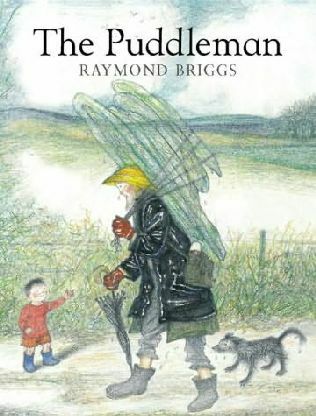 The Puddleman, a tall dripping character in oilskins, wellies and rubber gloves appears to carry the world as well as puddles on his shoulder. This being Briggs, there are moments of eccentricity, not least Tom referring to his grandfather as Collar, because he drags him around with a dog lead. It’s likely there’s more than a hint of personal experience to the story. Briggs hasn’t published a graphic novel in over a decade since, so if this remains the case, his final work is quitting before any decline.